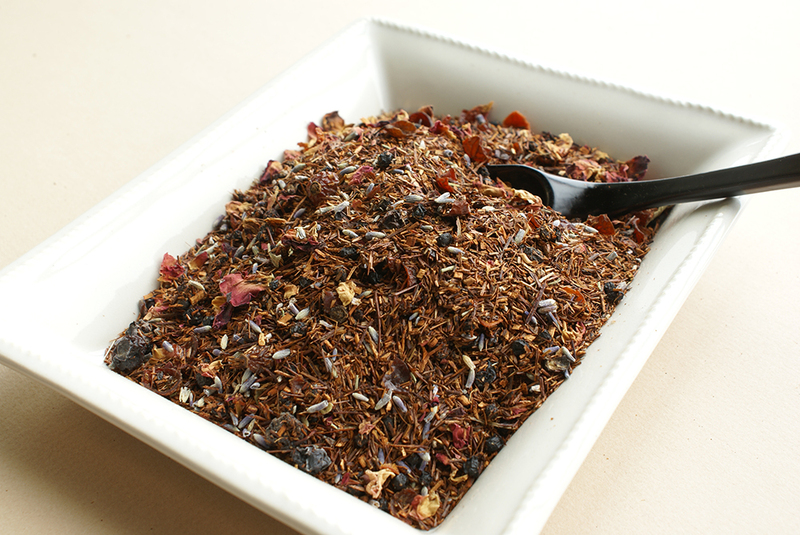 You’ll try our Organic Rooibos Provence for its lavender flavour – but return for the sweet, fragrant combination of rose petals, red and black currants and of course pungent rooibos. 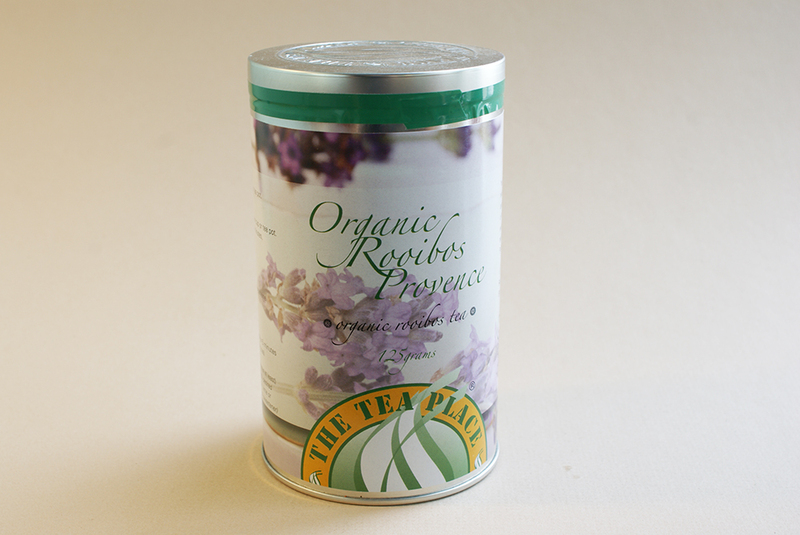 Subtle notes of lavender will leave you smiling as you imagine a casual evening in a Provencal café, sipping a cup of Organic Rooibos Provence tea and wondering what the following the day will bring. 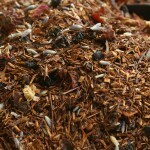 Perhaps a swim in the Mediterranean Sea? 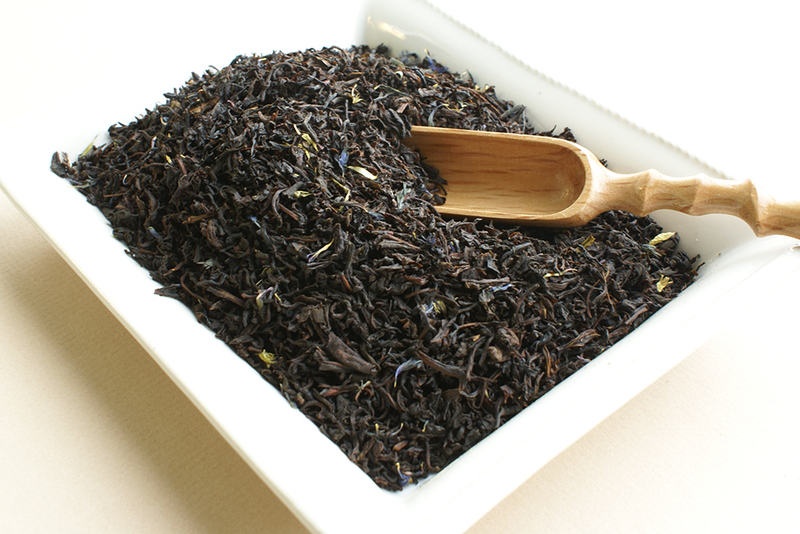 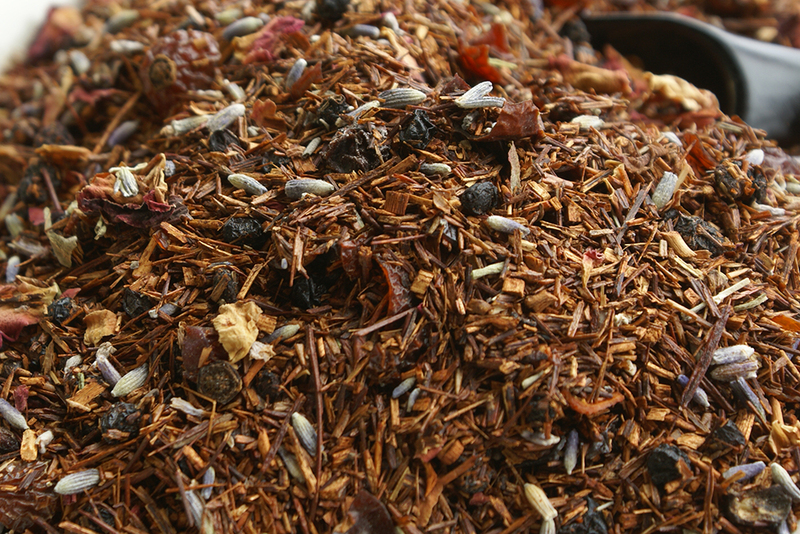 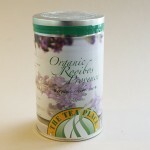 Organic ingredients: Rooibos, Rosehip shells, Elderberries, Lavender, Rose petals, Blueberries and Natural flavours. 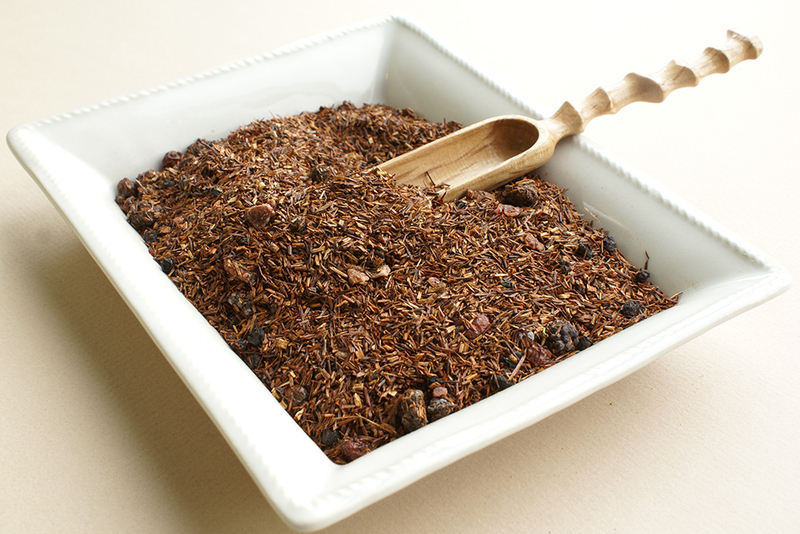 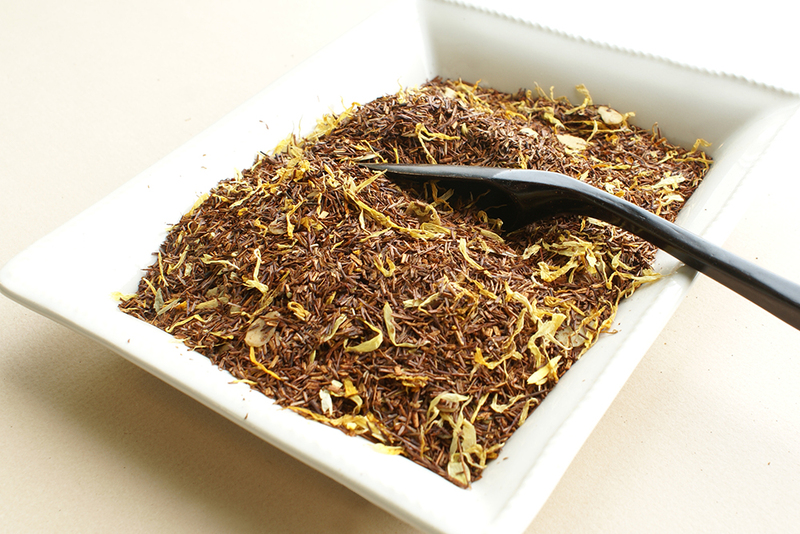 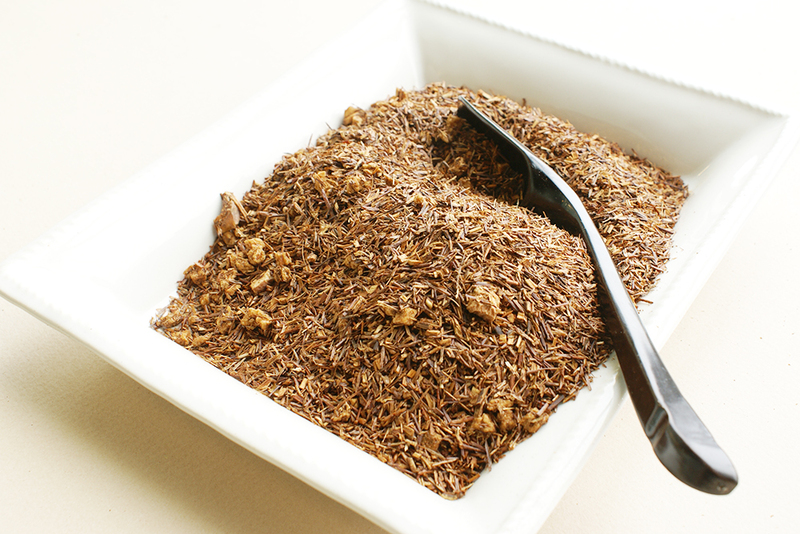 Rooibos tea, or sometimes referred to as Red Tea, is made from the South African Red Bush.